Many options so you could decorate in so many ways. 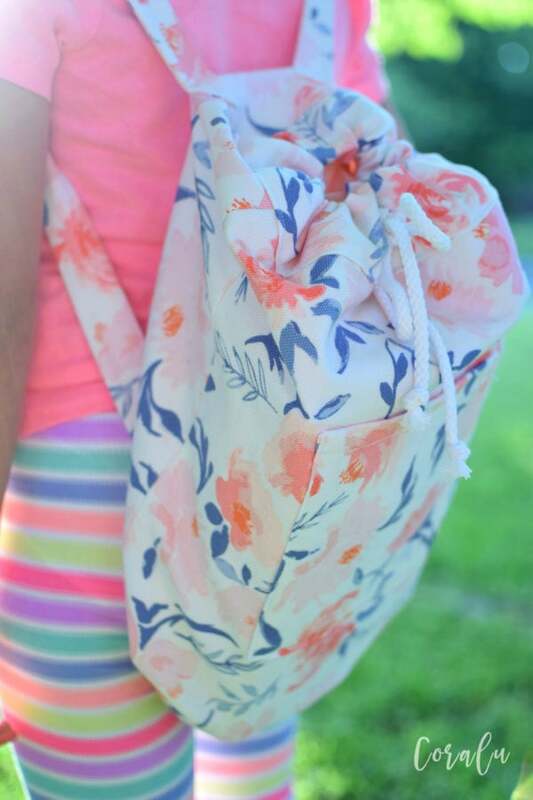 This lovely drawstring school backpack pattern is super easy and really quick to make! Perfect for keeping your sewing supplies or using as a school bag. Takes just less than a yard of fabric and you could decorate in so many ways. They range in size from being suitable for a toddler/play backpack, to school size to adult size! There’s a size for every occasion. A quick afternoon project – I actually used the backpack for me as a knitting project bag as it was too cute to give to the kids! I really enjoyed making the backpack! The instructions were super easy to understand and execute. I love that you also made bigger versions. These are perfect for dance/sports , pre-school, or sleepovers!!! I will be making more in the near future, and will tell all my sewing friends about this awesome bag. Thank you for such an awesome pattern!!!! Great fun pattern! 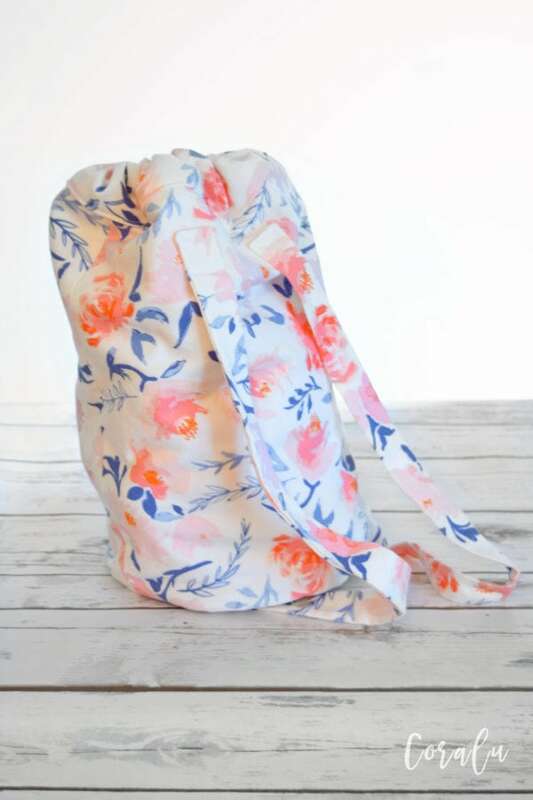 Super cute design – perfect for day trips, kids bag or to hold mom essentials!! 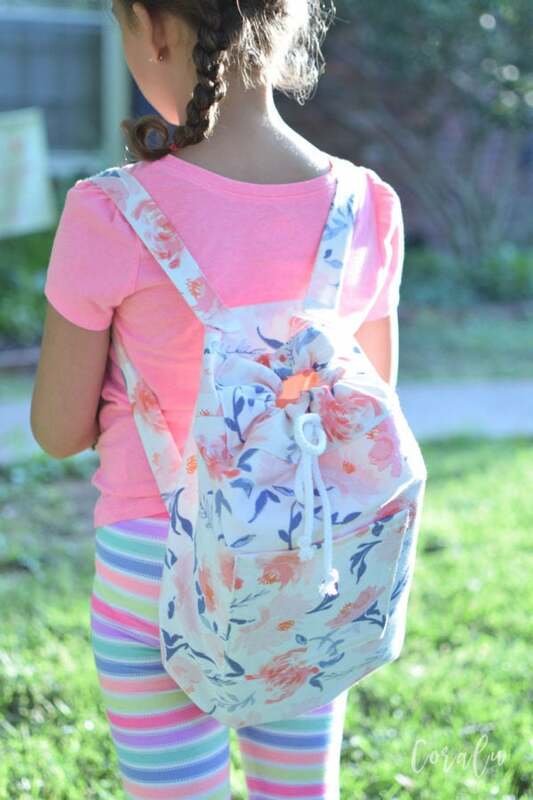 The Rebecca Page Back To School Drawstring Backpack is a quick and easy sew. The instructions are clear and well written, it was a pleasure to sew. 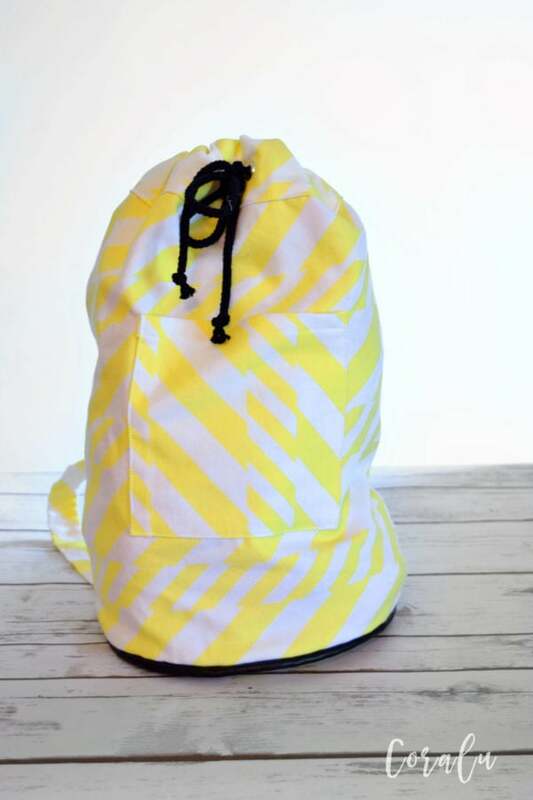 The backpack would make a great gift and could be made with waterproof lining to make the perfect kid’s swim bag. There’s a larger size available to hold a binder but this size is perfect for the little one’s and they’ll never lose their one of a kind backpack again. This is a great, super quick sew! Need a gift? Whip it up! Multiple sizes make it extremely versatile!! Making it yourself makes it unique! No rack bags for you!! 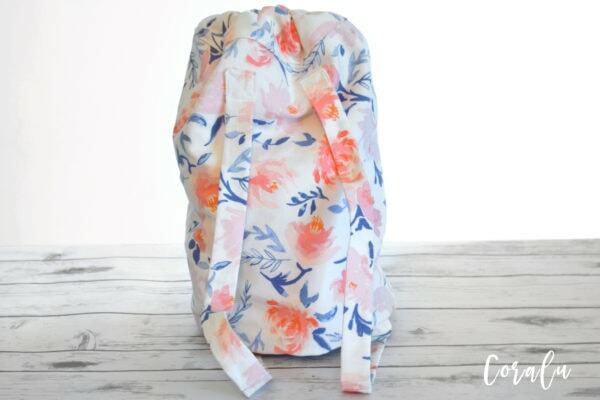 This backpack is super easy to make and very cute! I chose to make it for my daughter’s gymnastics bag, but already have a few more planned! 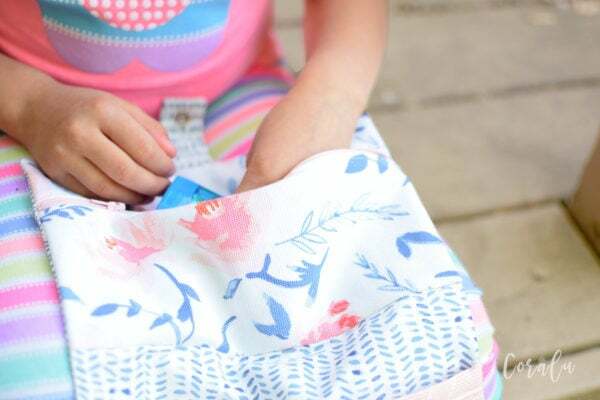 Very cute bag and a quick, easy sew. Perfect for heading back to school or as a casual everyday bag. The inner and outer pockets are great for storing smaller items, like keys or a phone, for easy reach. Such a fun sew!! The medium size is perfect for a night away at Grandma’s (my big kids tested this asap!). I’m looking forward to making two small ones for my twin toddlers to put their treasures in! 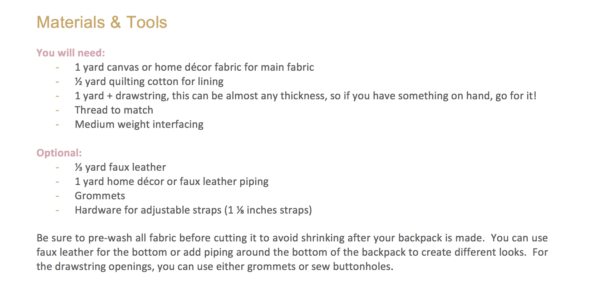 This backpack was a quick and rewarding sew! There are so many uses for this bag. With the multiple sizes included in the pattern it is perfect for anyone to use. Super quick and easy sew with amazing results! My toddler instantly claimed mine, so I guess I will have to make a couple more! Perfect Christmas present idea too! As an added bonus the pencil case teams perfectly with the back pack. Rebecca Page thanks again for another fab pattern. 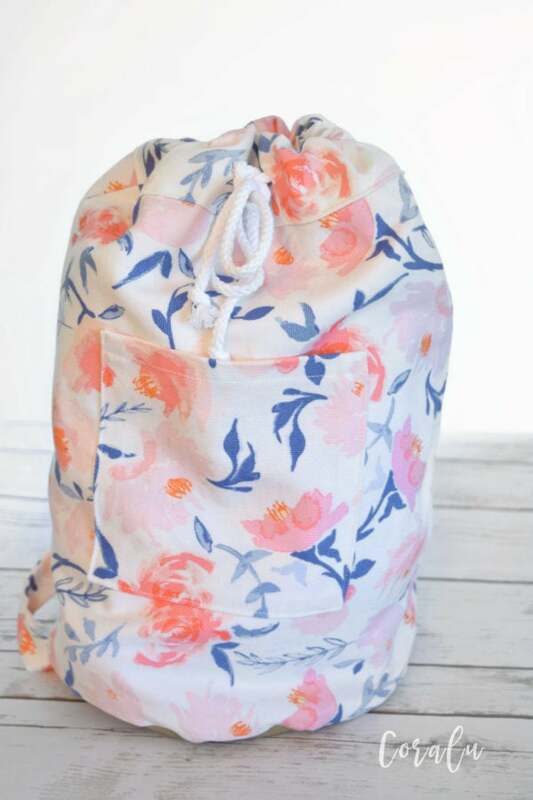 There’s lots of Versatility to this pattern by changing the fabric, drawstring, as well as straps. I really loved this pattern! Tag your photos with #rpbackpack on Instagram.